Many online businesses create digital products to sell - including me! I abandoned Word many years ago, as I love the freedom to design content using PowerPoint. 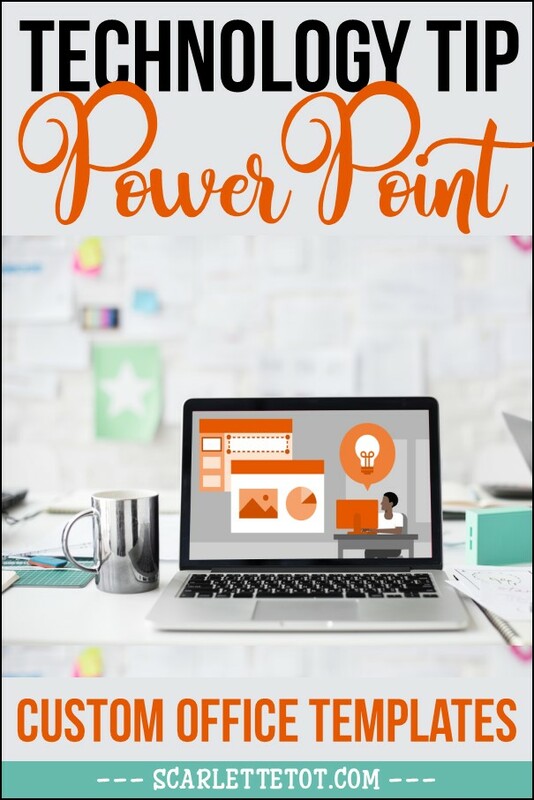 Many people don't think of PowerPoint as anything other than a way to create presentations, but it is in fact an amazing tool for creating ebooks, teaching resources, planners - the list is endless! I could write a book on the ways I have used PowerPoint in my business over the years! This is one quick tip that I have found to be such a great time saver - creating custom office templates. If you use PowerPoint to create products and haven't seen this tip before, I guarantee you will love it! When creating a new PowerPoint file, have you ever noticed this? This is a ‘store’ for any templates you create. This is especially useful if you use the same slide dimensions and formats repeatedly. A good example of this would be a pin template. Instead of creating the right sized slide every time you want to make a mock up, just go to your personal 'store' and open the template from there. Keep reading to see how simple this is to do! Open PowerPoint and create a new presentation. Choose the file dimensions you require and create your slide. It is important to give your template the correct name, so you know what the template is for, e.g. Pin. Instead of saving your template as a PowerPoint Presentation (.pptx), save it as a PowerPoint Template (.potx). The template has now been saved to your Custom Office Templates folder. 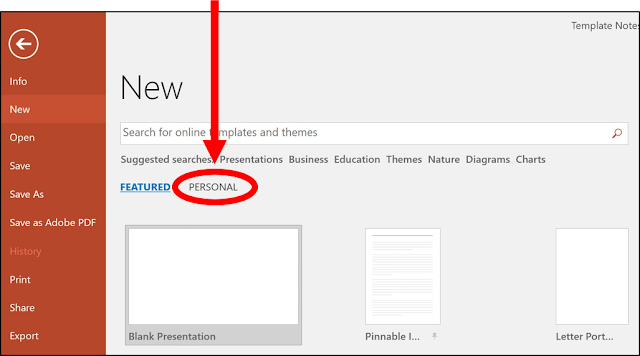 Next time you need to create a pin image, open Powerpoint > Create New > Personal and choose/open the template you need and beginning creating! You can just imagine the possibilities here! For example, if you sell online teaching resources and have a particular format that you use regularly. Maybe it includes a set of tables or a particular font - these can all be saved as part of a template - just sitting in your 'store' for the next time you need it! If you would like this tutorial in PDF format for future reference, just click the button below. The PDF will download automatically.